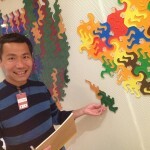 As walking around inside the newly opened National Museum of Mathematics (MoMath), Professor Frank Wang (LaGuardia Community College) and I saw many, many kids, playing, chattering, taking pictures, laughing. In the small two-story museum located right in front of Madison Square Park (the home of Buckyball), everything was colorful, interactive, and looking fun. 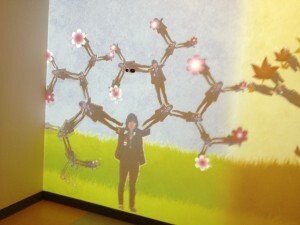 I caught a group of 8 to 10 children working on (or goofing around with) some sort of a computerized painting activity. Wow. Love the enthusiasm. But when did they rehearse these responses? Anyway, I was happy that they said they liked math, and that they seemed to be genuinely enjoying the museum. Great! 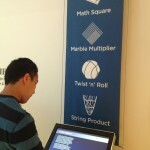 MoMath can be useful for college math teaching! 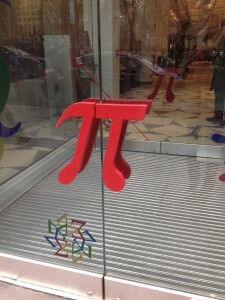 Second, true, it was fun, but it was so unclear how exactly these fun displays are math. 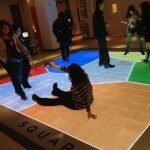 We could not find sufficient explanations for any of the exhibits on the interactive touch-screen monitors located nearby, or on the MoMath website. If we cannot connect these activities and the math taught at school, how can we send the “Math is fun” message to children? I could go on and on, but then realized this New York Times article expresses what I wanted to say more beautifully. 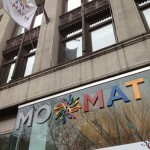 Having said all that, I still consider myself a big supporter of MoMath. It is a great idea and the museum has infinite potential. 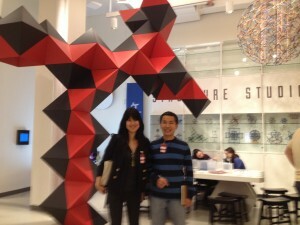 When someone asked me, “How was MoMath?” I would answer, “Don’t go yet. It’s not ready (Obviously I was still bitter about my 16 bucks).” But then, I thought: No. Everyone, Go! Experience the exhibits and give the creators tons of feedback. Tell them to make their website more informative. Tell them to give us deeper mathematical insights. Tell them to show us math can be really fun! Personally, I would love a math-themed cafe on the premises to serve cakes and pies of all sorts of shapes, and mysterious drinks named after mathematicians. The grades we have given are part of formative assessments. We are so looking forwrad to our next visit. On a side note: Later that day, I visited the Metropolitan Museum of Art to see a tiny show for European lace. The lace from a couple of centuries ago was so quiet and delicate that it made a great contrast with the MoMath’s vibrantly colored high-tech exhibits; however, it was undeniably math. 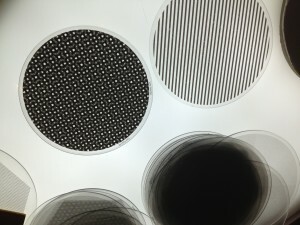 The show ended last month, but Selected Highlights can be seen online. Thanks for the comment, Asya, and I apologize for this delayed response. True… kids can’t be expected to ask the volunteers why it’s math for every activity. My suggestion would be that the museum put explanations on the monitor nearby, some for very young students and some others for older students, and even for professors and mathematicians. Having fun is great, but having a-ha moments on top of that would be nice, too! 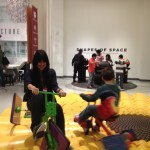 I’ve been to MoMath with my daughter and her friends, in mid-February. They liked it, sure. 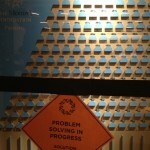 There were not that many “problem-solving in progress” issues, just one or two. As far as I know, the organizers didn’t expect such a big flow of visitors right away, things get broken because of the wear-and-tear, and special spare parts take time to manufacture. But I have to second the blog post, pretty much. I don’t see how it is a learning place. It’s a play place, yes, but the only time she and friends got deep into figuring out how to do something, they were politely asked to “give other kids a chance”. 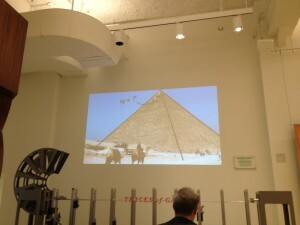 Mathematics is not done quickly… But it’s a problem of every single science museum we’ve been to, so no hard feelings.